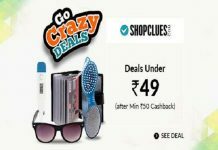 Amazon Super Value Day – Shop with Amazon Pay Balance & Get Additional 10% Cashback on select products. Max. 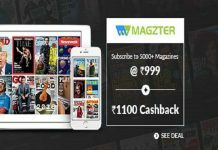 Cashback upto Rs.200 | Offer Duration: 1st December, 2017 to 2nd December, 2017, both days inclusive. This offer will be valid from 1st December, 2017 to 2nd December, 2017, both days inclusive. The offer is applicable on purchase made using ONLY Amazon Pay balance, during the offer period, of products listed in the Super Value Day Store on Amazon.in or from Amazon Pantry Store on Amazon.in or on Amazon Now App. 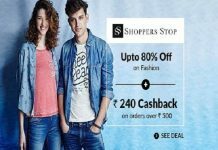 The offer is applicable on order worth Rs 600 or more placed during the offer period, 10% cashback of up to Rs.200 per customer. The customer will receive cashback in the form of Amazon Pay balance issued by Qwikcilver Solutions Private Limited, which would be added to the Amazon account by 31sr December, 2017. The order should be: (a) worth Rs. 600 or more; (b) for products listed in listed in the Super Value Day Store on Amazon.in or from Amazon Pantry Store on Amazon.in or on Amazon Now App; (c) placed only using Amazon Pay balance on Amazon.in website or mobile application thereof, for you to be eligible for the offer. This Offer will be valid on only the FIRST eligible transaction made by a customer during the Offer Period. 3. Choose the product which you want to buy & Add it to cart. 4. Enter your Shipping address. 5. Now pay the amount using Amazon Pay Balance. 6. Cashback will be credited within 3 working days as Amazon Pay Balance. 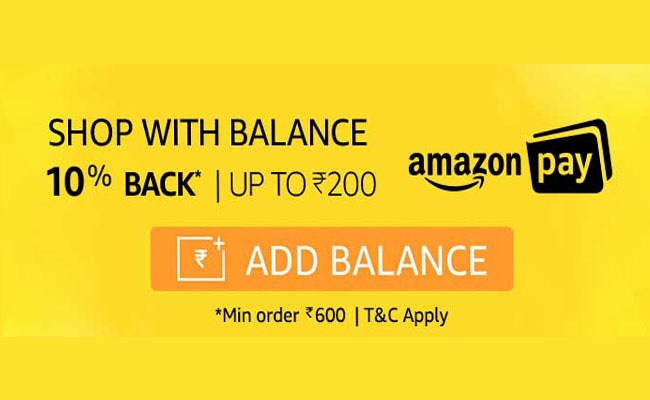 This Amazon Pay balance Super Value Day Offer (“Offer”) is provided to you by Amazon Pay (India) Private Limited (“APIPL”) and made available on www.amazon.in and its mobile application/site thereof (collectively, “Amazon.in”) by Amazon Seller Services Private Limited (“Amazon”/”ASSPL”). “Amazon Pay Balance” is a sum of all the balances associated with Amazon.in Gift Cards (“Gift Cards”) in your Amazon.in account and all balances added as Money as Amazon pay balance (“Money Balance”). Gift Cards are issued Qwikcilver Solutions Private Limited (“Qwikcilver”) and are subject to the Amazon.in Gift Card Terms and Conditions available at http://www.amazon.in/gp/help/customer/display.html?nodeId=201522810 (“Gift Card Terms”). Money Balance is issued by APIPL and is subject to the terms and conditions available at https://www.amazon.in/gp/help/customer/display.html?nodeId=202123460 (“Money Balance T&Cs”). Please read these terms and conditions (“Offer Terms”) before availing the Offer. You agree that, by participating in this Offer, you will be bound by these T&Cs and you acknowledge that you satisfy all Offer eligibility requirements as provided herein below. These Offer Terms are in addition to the Amazon.in Conditions of Use & Sale which you agree by using Amazon.in; the Gift Card Terms and the Money Balance T&Cs. To the extent the Amazon.in Conditions of Use & Sale are inconsistent with these Offer Terms; these Offer Terms will prevail with respect to this Offer only. To the extent the Gift Card Terms are inconsistent with these Offer Terms; these Offer Terms shall prevail with respect to this Offer only. To the extent the Money Balance T&Cs are inconsistent with these Offer Terms; these Offer Terms shall prevail with respect to this Offer only. This Offer will commence on 1st December, 2017 at 00:00:00 hrs and end on 2nd December, 2017 23:59:59 hrs. (“Offer Period”), unless extended/ terminated by APIPL, in its sole discretion without any prior notice. In the event of any cancellation (either by you or the seller) or refund or return of your order you will not be eligible for the Offer. The queries regarding the Offer need to be directed to APIPL and will be entertained only till expiry of the Offer Period. Any complaints regarding the cashback need to be directed to APIPL and will be entertained only till 15th January, 2018. APIPL reserves the right to add, alter, modify, change or vary all of these Offer Terms or to replace, wholly or in part, this Offer by another offer, whether similar to this Offer or not, or to extend or withdraw it altogether, at any time without prior notice and without assigning any reason whatsoever. You or any Amazon.in customer is not bound in any manner to participate in or avail the Offer. This Offer is being made purely on a “best effort” basis and participating in or availing the Offer is voluntary. Neither APIPL nor ASSPL make any warranty of any kind, express or implied (including, without limitation, any implied warranty of quality, merchantability, or fitness for a particular purpose or for delivery or after sales services, in relation to any products purchased by you from Amazon.in). You hereby release APIPL and ASSPL from liability of any kind relating to the aforesaid. There are no cash or other alternatives available in whole or in part, in relation to the benefits under this Offer. No requests for transfer or assignment of the benefits under the Offer shall be entertained. You agree that all decisions of APIPL related to the Offer are final and binding on you. Failure by APIPL or ASSPL (as the case may be) to enforce any of these Offer Terms in any instance shall not be deemed to be a waiver of the Offer Terms and shall not give rise to any claim by any person.